Copper azole (CA-C) is a wood preservative innovated almost two decades ago by Lonza Wood Protection. Used widely across North America, Europe, and northern Asia, CA-C requires no solvent and effectively protects susceptible wood against fungus, rot, decay, and termite infestation. CA-C appeals to homeowners because it is odorless and provides treated wood with a clean appearance. Why Choose Copper Azole-Treated Wood? 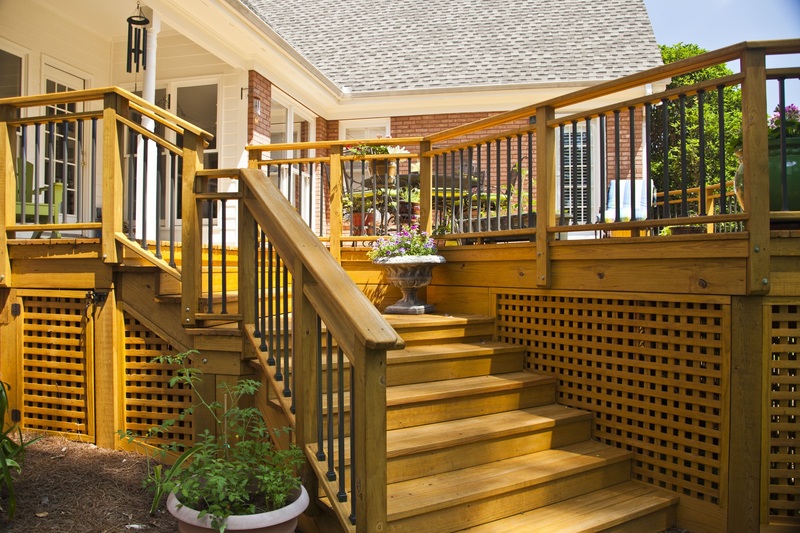 CA-C treated wood is ideal for decking, railings, playgrounds, and other outdoor, wood-based projects. Used around the world, CA-C treated wood can easily be modified, stained or painted, and costs less than its pricier counterparts, like redwood, cedar, and especially plastic composite. Plus, CA-C treated wood is derived from renewable resources. The components of CA-C work in tandem to provide superior wood protection: copper is an excellent insect deterrent and also works to discourage fungal decay, while the azoles function as co-biocides against rot and infestation. Copper has long been utilized to discourage bacterial growth, fungus, and rot. Ancient healers harnessed the antifungal powers of copper; today, the antibacterial properties of the element extend far beyond the medical realm. Since the 1940s, copper has been utilized to discourage fungal infestations and mitigate insect damage. Inedible to termites, copper has also long served as an effective deterrent to that feared wood-lover. We’ve come a long way in developing wood preservation technology, and today’s copper azole-based wood treatments are more reliable than ever, providing long-lasting products used for many outdoor projects. The use of copper azole wood treatment allows builders the opportunity to provide an outdoor living space that is both natural and beautiful. Learn more about Wolman® E, the fifth-generation formulation of the original Copper Azole wood preservative.